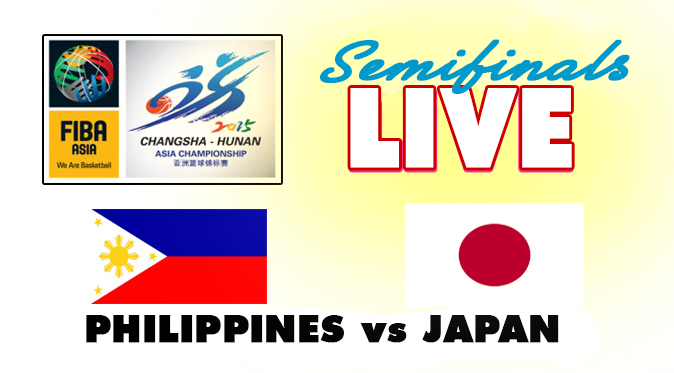 On this page you can watch the live stream video of the Semifinals match between Gilas Pilipinas vs Japan in the 2015 FIBA Asia Championships. This is a very important game for the Filipinos. A win will ensure the team of the silver medal and the chance to bag the gold. Gilas Pilipinas will also automatically qualify for the 2016 Summer Olympics once they come out victorious against Japan this Friday night. Catch the hardcourt action via the following live stream feed provided by Sports5. The game will start after the semifinals match between China and Iran.